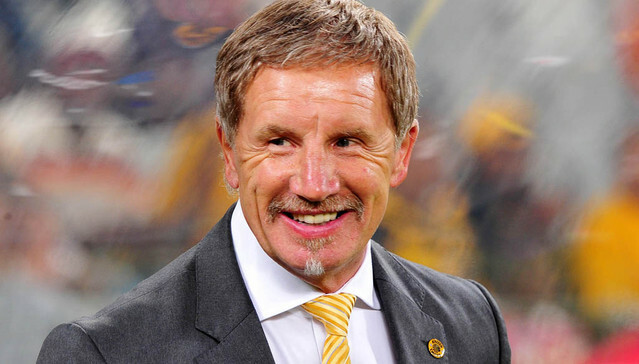 The Super Eagles trades tackle with Stuart Baxter’s South African side with plenty of expectations already brewing among the two teams who are from different region on the African Hemisphere. The Super Eagles will entertain the visitors at the Akwa Ibom Stadium in Uyo this weekend as many expectations tend toward a positive result from their darling team, the Super Eagles. The host may hold a credible record against Bafana Bafana but there are certain reasons why the Eagles should not be complacent going into the fixture. Here are some reasons why Nigeria must be wary when South African come visiting at the weekend for the African Cup of Nations Qualifiers. The Super Eagles might not have lost to the South African side in a competitive game, a positive record the Nigerian side go into the game with but the Eagles have been scratched by Bafana Bafana in a friendly. The Super Eagles of which were mostly made of youngsters who are on the fringes as players like Taye Taiwo (before the U-20 World Youth Championship in Holland the following year) and Obafemi Martins lost 1-2 to the South African side in a Nelson Mandela Challenge Cup which took place in n2004 after the Eagles had beaten them 4-0 in the Nations Cup tournament earlier in the year. 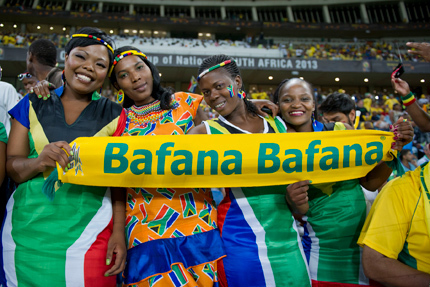 The then South African side was led by Stuart Baxter to claim a famous win which they will be hoping to recapture the fun of the old memories to take into the game against the Super Eagles as they set to lock horns once again at the weekend. Having managed a host of his players at Club level where most of his players plies their trade in the South African League, Stuart has a good overview of his players. So despite taking over with the big task ahead against African giants Nigeria, the manager understands and knows his onions about how to psyche his players for the task at hand after guiding them to a 2-1 victory over the Super Eagles. The gaffer’s clues of his players will come handy as he will not need much experimentation to carve a niche for his team when the battle is set against the Nigerians. The Super Eagles might have not lost a single game under new Coach Gernot Rohr since taking over the Nigerian side but the South African have a positive record (even a better one) of their own. The South African side on their own is on a mazy run themselves as they are unbeaten since 2015. This run includes their 2-1 defeat of Senegal at home during the World Cup qualifier which the Super Eagles drew 1-1 with though it is in an international friendly. The visitors have not lost a game in recent times and they will need the best from the Super Eagles to crack through them and break the duck when they file out against the South Africans.